Development of pest management systems rests on relatively few major ecological principles and these underly the tactics and strategies available. Many are so self-evident that we often ignore their underlying significance. They are (1) the principle of inherent variation in the genetic properties of organisms; (2) the principle that an organism must be adapted to its environment and becomes so through its evolution; (3) the principle that all organisms require adequate nutrition; (4) the principle that to perpetuate their kind organisms must reproduce; (5) the principle that as organisms are born immature they must grow and develop; (6) the principle that life presents various compensations tending to correct for adverse occurrences; (7) the principle that most organisms derive their sustenance from other living organisms (predation); (8) the principle that organisms commonly suffer from depletion of resources by other organisms (competition among the same or different kinds of organisms); (9) the principle that cooperation serves many species well; (10) the principle that organisms must move about and do things (possess mobility and other behavior); and (11) the principle of holism and interactions among factors in ecosystems. Examples are given showing that advances in our knowledge in each of these basic areas are significant in developing ecologically sound pest management systems. Dans cet article nous donnons des exemples montrant que contre des insectes nuisibles, toute lutte écologiquement satisfaisante est fondée sur nos progrès dans la connaissance de onze principes fondamentaux d'écologie. Nous discutons les principes concernant la variation génétique, l'adaptation, la nutrition, la reproduction, la croissance et le développement, la compensation vis-à-vis de facteurs adverses, la prédation (y inclus le parasitisme), la compétition, la coopération, la mobilité et les interactions de facteurs dans un système global. 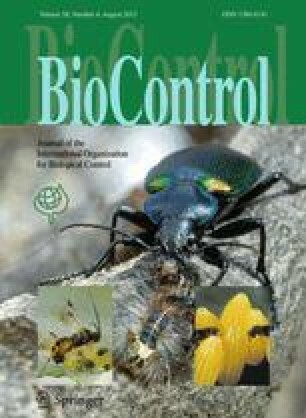 1.Division of Biological Control, Department of Entomological SciencesUniversity of CaliforniaBerkeleyU.S.A.